This Audi A4 2.0 T Sedan quattro AWD is ready and waiting for you to take it home today. Want a car with low miles? This Audi A4 2.0 T Sedan quattro AWD has exceptionally low miles with the odometer reading at 97,287. The interior of this beautiful Audi A4 2.0 T Sedan quattro AWD is completely smoke free. Many factors go into buying a used car and knowing a vehicle's service history is one of the most important. At Car N Go, we provide a full SERVICE HISTORY to back what we sell. This car, like all vehicles that we offer for sale, undergoes a comprehensive and stringent MULTI-POINT INSPECTION before putting it out on our lot. The body is perfect and straight as a pin and has never been wrecked. You will love the feel of the sports tuned suspension as you cruise gracefully through even the toughest of twists and turns. You will be able to handle any weather condition, both on and off-road with the tough built suspension that this baby is built with. From bumper to bumper this car has been thoroughly inspected and is working perfectly thanks to our comprehensive multi-point inspection that we perform on every vehicle that we sell. Aside from the usual wear and tear, the exterior is first-rate. Given that this is a used car, the interior is really in very good shape with no rips, tears or stains to be had anywhere in it. Buy from us with full confidence. 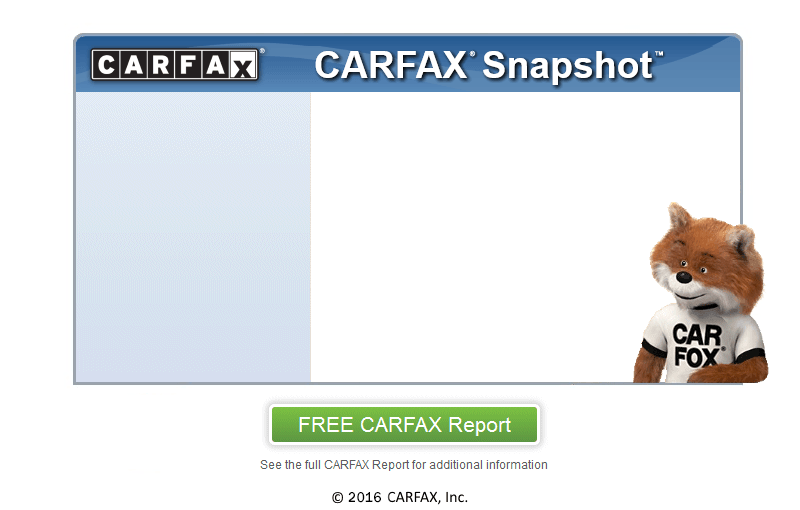 Get a free CARFAX report on this or any other vehicle that we have for sale. All our vehicles are AutoCheck CERTIFIED which means that each and every one of them have measured up to our high standards and are fully documented by an included AutoCheck history report. STANDARD WARRANTY coverage applies to this car, and we would be more than happy to go over all that is covered in this package. We have an optional extended warranty program available for an incredibly low price. Don't hesitate to ask. We have multiple convenient locations and are always ready to help you. Quiere un car con millas bajas? Este modelo Honda tiene millas excepcionalmente bajas con la lectura del odmetro en 97,287. El interior de este hermoso Honda Accord est completamente libre de humo. Muchos factores influyen en la compra de un coche usado y conocer el historial de servicio de un vehculo es una de las ms importantes. En Car N Go proporcionamos un historial de servicio completo para respaldar lo que vendemos. Esta el coche, al igual que todos los vehculos que ofrecemos a la venta, se somete a una inspeccin completa y rigurosa MULTI-PUNTOS antes de ponerlo en nuestro lote. El cuerpo es perfecto y recto como un pasador y nunca ha sido chocado. Le encantar la sensacin de la afinada suspensin deportiva mientras navega con gracia a travs de incluso la ms dura de las vueltas y revueltas. Usted ser capaz de manejar cualquier tipo de clima, tanto dentro como fuera de la carretera con la suspensin resistente con la que esta beb esta construida. Aparte de el desgaste usual, el exterior esta de primer plano. Teniendo en cuenta que este es un el coche usado, el interior esta realmente en muy buena forma, sin rasgaduras, roturas o manchas que hubiese tenido en cualquier lugar. Compre de nosotros con plena confianza. Obtenga un informe CARFAX gratis en este o en cualquier otro vehculo que tengamos a la venta. Todos nuestros vehculos son AutoCheck CERTIFIED lo que significa que todos y cada uno de ellos han estado a la altura de nuestros altos estndares y estn totalmente documentados en un informe de la historia AutoCheck incluido. Cobertura de la garanta estndar se aplica a este car, y que estariamos ms que feliz de ir sobre todo lo que se cubre en este paquete. Ven oscilacin por hoy y echa un vistazo a esta gran oferta, estamos a slo minutos de Doswell!